Abstract: Site survey of Boatstrand Harbour before refurbishment by Malachy Walsh & Partners. Physical description: Photographs post processed with Adobe Photoshop to include file data. 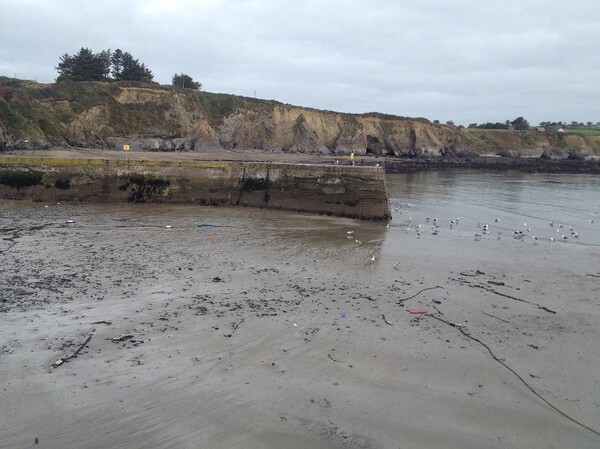 Harbours, Ireland, Maritime, Engineering, Heritage at Risk, Boat Strand, Dunbrattin, Dunabrattin, 21st century, reinforced concrete, Malachy Walsh & Partners, Waterford County Council, Waterford. Boatstrand Harbour photographic survey November 15, 2013 is licensed under a Creative Commons Attribution-NonCommercial-NoDerivatives 4.0 International License.